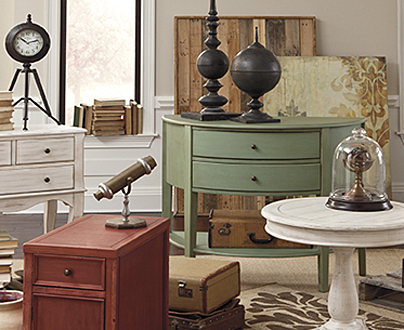 The rarefied market of Old World furniture is not just for antiques anymore. If you love the opulence of Victorian mansions and their grand style of entertaining made seemingly effortless, Quality Furniture is happy to tell you it can be that way again and you needn’t marry into royalty or acquire a fortune to make it so. If you’ve always wanted that élan in your home’s style, our showroom’s impressive lineup of Millennium furniture by Ashley is your answer! 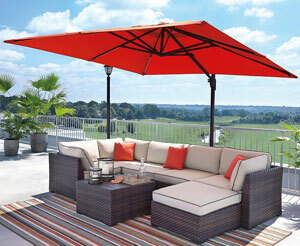 High Quality Millennium Furniture: Easily Yours! 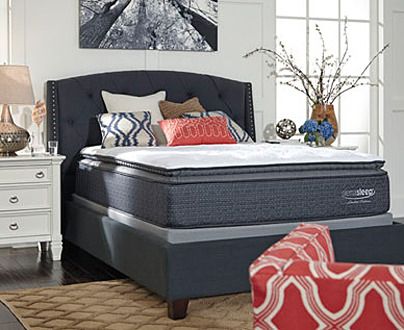 Millennium furnituremarries the inimitable style of European classics with Ashley furniture’s modern manufacturing, efficient but never cutting corners, and nationwide distribution. So if the living-room chaise or sleigh bed you want is not currently in our stock, no worries. We WILL get you your traditional home furnishings for living rooms, dining rooms, bedrooms, and TV rooms (the manor’s back private parlor reimagined in our digital age) straight away and at prices that will make you beam in appreciation. 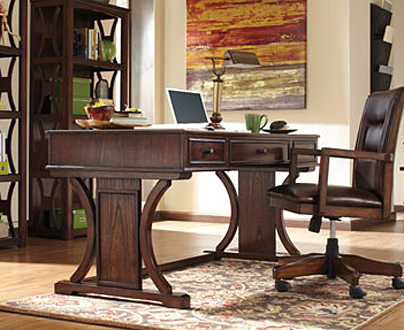 Here are just 2 ways Millennium furniture can give your rooms the touch of class you seek. Millennium furniture’s North Shore line has revived the art of gorgeous leather-upholstered sofas and loveseats as well as offering you a relaxing chaise, an oversized ottoman on which to rest your tired feet, and exquisite accent chairs that seem like treasures from the Hearst mansion. Millennium’s supple, tonally rich leather is partly protected and is easily cleanable using the methods for natural leather. Why settle for an ordinary TV stand when you can magnificently frame your large flat-screen TV with one of our stately home entertainment centers? 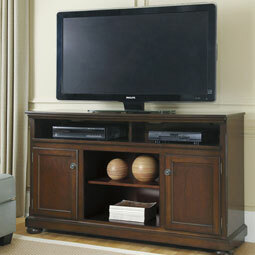 Millennium furniture gives you this option as well as handsome TV consoles. Both these kinds of media-center pieces come in our more ornate North Shore line, or, for a more understated Georgian colonial air, the Porter line, all in rich wood finishes, beautiful veneers on solid hardwood construction. 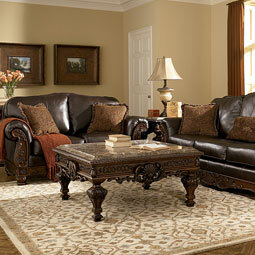 Yes, you CAN afford Millennium furniture’s beauty and quality thanks to Ashley’s making it readily available. 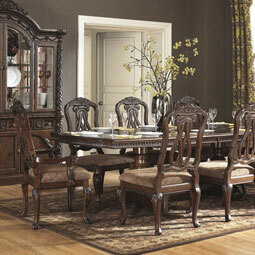 Our discount furniture showroom serves households like yours in Auburn, WA as well as Puyallup, WA. Contact us after browsing this page and stop by soon to get started on enjoying the finer things in life, the Millennium furniture way.